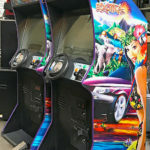 Manufactured by Midway in 1999, Cruis’n Exotica racing simulator rental is one of 45 machines under this trade name that began in 1972 that have been released by this company. 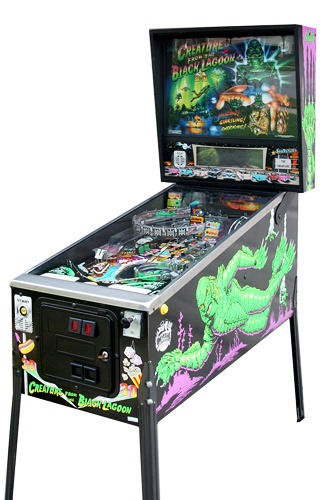 Cruis’n Exotica Racing Arcade Game for rent takes you around several different courses that include a dinosaur course, underwater course as well as an outer space course. There are rusted out Chevy’s to compete against. 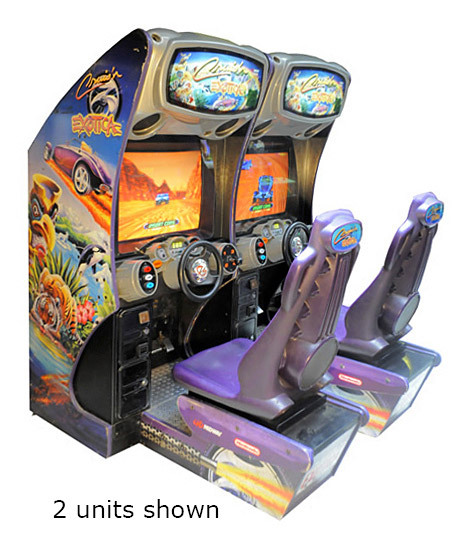 In rented Cruis’n Exotica Racing Arcade Game are given a selection of 7 cars to choose from, both in automatic and manual transmissions. 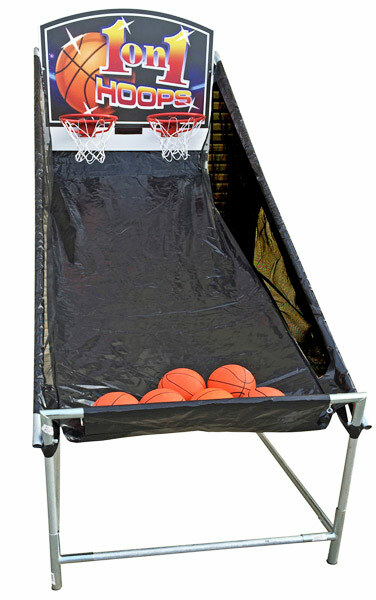 This is a minimum and maximum 2-player game that is played in an upright standard style. The controls consist of brake and accelerator pedals, steering wheel and a 4 positions shifter. 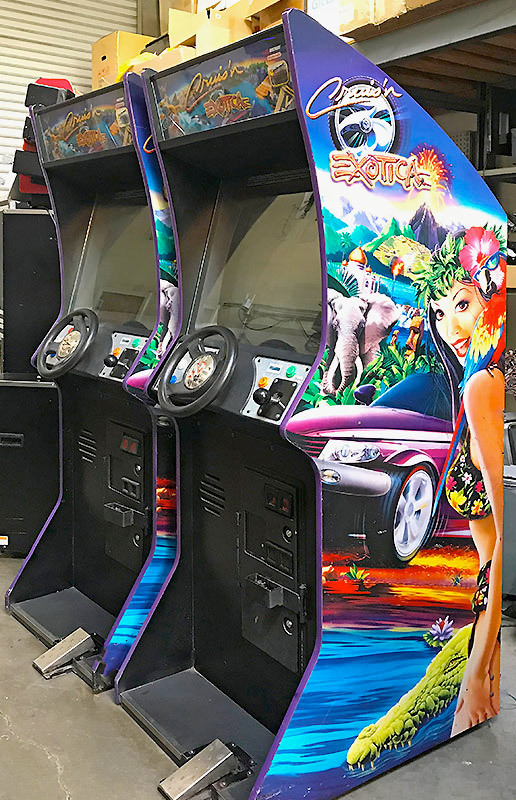 Video Amusement delivers Cruis’n Exotica Racing Arcade Games for rent in California to San Francisco Moscone Center, AT&T Park, SF Masonic Auditorium. San Jose Convention Center, San Jose Event Center, SAP Center, Santa Clara Convention Center, Levi’s Stadium, Great America. Mountain View Shoreline Amphitheater, Monterey Convention Center, Oracle Arena, Oakland Coliseum, Sacramento Convention Center, Los Angeles Convention Center. LA Live, Staples Center, San Diego Convention Center, Anaheim Convention Center, Long Beach Convention Center among others. We cover Nevada Las Vegas Convention Center. Sands Expo Convention Center, Mandalay Bay Convention Center. MGM Grand Conference Center, T-Mobile Arena and all major venues in all the Western States.